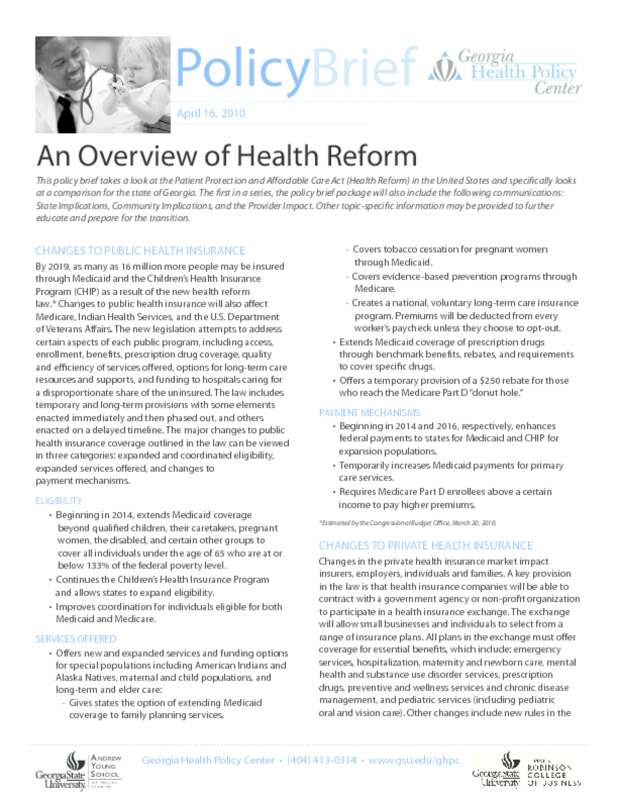 This policy brief takes a look at the Patient Protection and Affordable Care Act (Health Reform) in the United States and specifically looks at a comparison for the state of Georgia. The first in a series, the policy brief package will also include the following communications: State Implications, Community Implications, and the Provider Impact. Other topic-specific information may be provided to further educate and prepare for the transition. Copyright 2010 Andrew Young School of Policy Studies. All rights reserved.